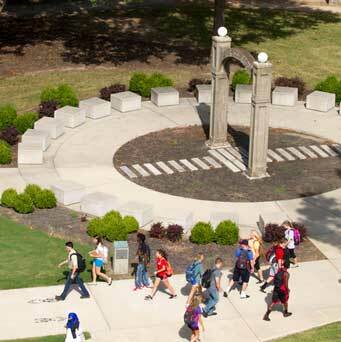 A-State extends a warm welcome to all new faculty members who have arrived this week for orientation and annual Faculty Conference, which begins Wednesday morning. Because of the tremendous work by faculty and staff, this year should be a high point in university history. The articles below reflect the names we have as of Monday; others will be listed next week. If you know of someone who does not receive Inside A-State, please contact news@astate.edu so the name can be added to our circulation list. New assistant professors who are beginning faculty appointments this week are: Dr. Karen Aul, nursing; Dr. Manu Bhandari, strategic communication; Debra Michelle Brewer, nursing; Jessie Bricker, occupational therapy; Dr. Jessica Curtis, psychology; Dr. Mark Foster, nursing; Dr. Todd Fuist, sociology; Dr. Donna Handley, public administration; Dr. Katerina Hill, marketing; Dr. Matthew Hill, finance; Dr. Marsha Johnson, occupational therapy; Dr. Dennis King, disaster preparedness and emergency management; Dr. Kasie Lee, counseling; Dr. Michelle Li, operations management; Dr. Jody Long, social work; Dr. Adam Smith, management; and Dr. Angela Smith, nursing. 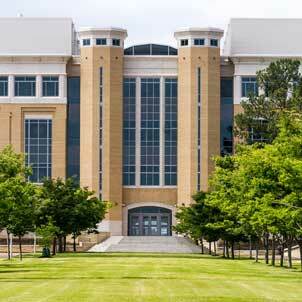 Three new instructors will begin teaching A-State students next week. The instructors and their respective disciplines are: Sheena Allen, accounting; and Jason Hancock, English; and Jenniver McCampbell, applied linguistics. We also welcome to the faculty several individuals with temporary fulltime appointments. Assistant professors are JoAnna Cupp, nutritional science; Dr. LaToya Green, physical therapy; Joy Jennings, nursing; Lauren Johnston, nursing; Dr. Jeanne Kaufman, criminology; Dr. Monika Myers, sociology; and Dr. Daniel Usera, communication studies. Temporary instructors are Alan Copelin, electrical engineering; Katie Hosteng, exercise science; Cheryl Knight, social work; Victor Martinez, art history; Dr. April New, Spanish; Mandy Northcutt, exercise science; Tamara Pace, social work; Ronald Sitton, media; Stefanie Snider, art history; Ye Su, agricultural business; and Ashley Zehel, Spanish. Dr. Jill Detty Oswaks is the new chair for graduate programs in nursing, as well as associate professor. Dr. Russ Jones, professor, is the new department chair for Computer and Information Technology and Accounting. Steve Leslie is moving into a new role at A-State as instructor in business communication. Jill Clogston is the new director of the Education Renewal Zone, and Johnathan Reaves is news director for KASU radio.